This pilot test was lauched by Campo Rural and PROFAM Group in Argentina who learnt on the benefits of EM Technology. The proposal was to replace antibiotics such as oxytetracyclines, which can generate dangerous residue (nitrofurans that severely limited the market during 2003-2004, that had oxytetracyclines origin). They consider the fact that applying antibiotics removes all kinds of bacteria, exposing beehives to fungal infection and virus. Therefore, they wanted to observe the effects of EM･1 on healthy and affected beehive mainly by American foulbrood, Nosemosis and other disease that limit normal evolution of the colony. They launched a series of tests using EM･1 and evaluate its results after testing for several seasons and in different conditions. – Dilute the sugar in water and pour it into the container (they used two different concentrations with two different types of sugar). – Add EM･1 into the container with the mixture of water and sugar mentioned before. – Add water to fill the container and mix well. – Keep the solution for a week to ferment in anaerobic conditions. – Check change of color, smell (sower sweet) and pH below 3.5. 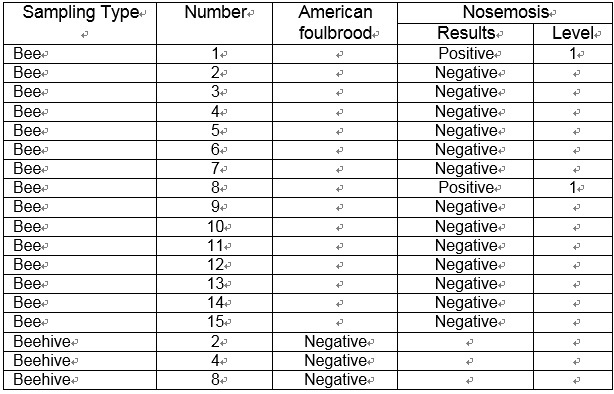 – Before EM･1 application, the apiary was infected with Nosemosis by 60% in high levels and American foulbrood by 33%. 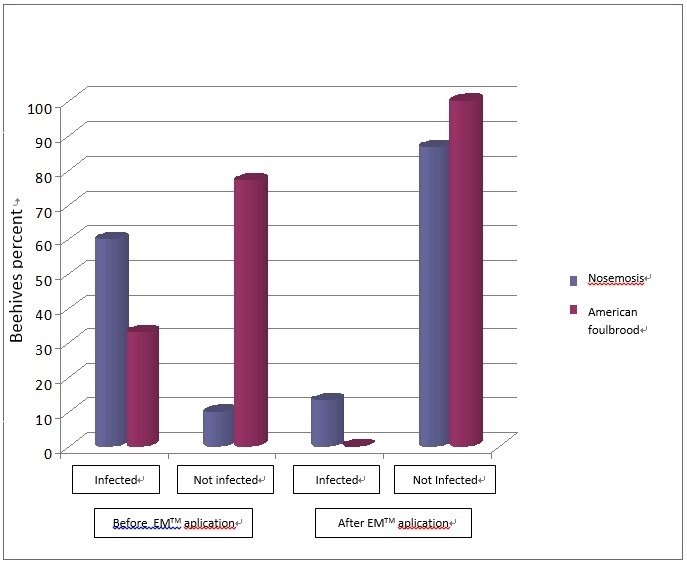 After the second application, infection impact reduced to 3.33% in Nosemosis and 0% in American foulbrood. This demonstrates that EM･1 has a bactericidal action. – This product could be used permanently while antibiotics should be suspended for approximately two months before honeydew. 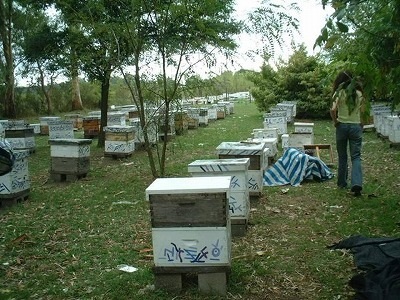 – Cost is comparatively lower than other antibiotics used in beekeeping. – It is a no residue product. An overdose of antibiotics is dangerous since it can pass to honey. – Not cause drug resistance because EM is living organisms. » Hoe redden we de insecten? Nog enkele ‘vintage’ Bokashi-keukenemmers te koop !